For this recipe, purchase a brand-new Kitty Litter box and Kitty Litter scoop. Wash and clean before preparing your cake. Slice cake into bite-sized pieces. Place inside the clean kitty litter box. 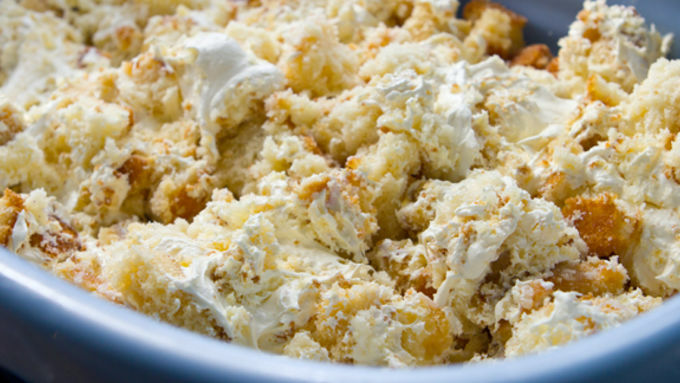 In a stand mixer or large bowl, beat together frosting, whipped topping, and vanilla pudding mix until light and fluffy. Spoon over the cake cubes. 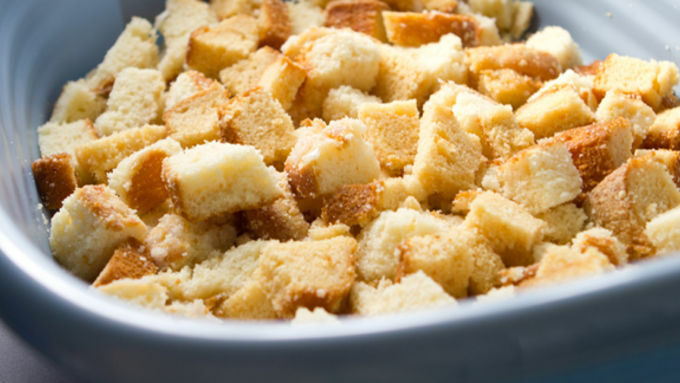 Sprinkle half of the crushed cookies over the cake and gently mix the cake, frosting, and cookies together. Press mixture gently to flatten. 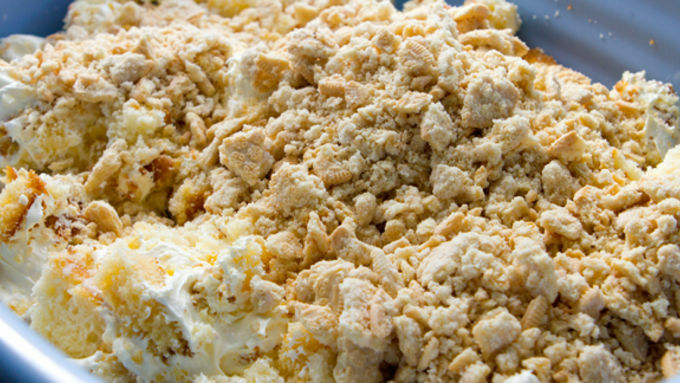 Sprinkled remaining cookie crumbs over the top of the cake until cake is completely covered. 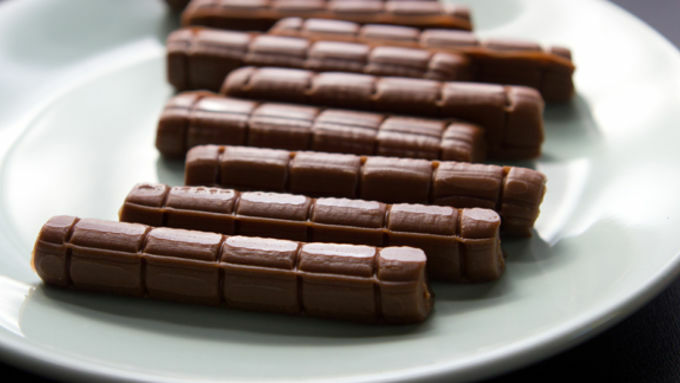 Open Tootsie Roll Midgees® and microwave for 45-60 seconds, until the candy becomes melty. Roll the melted candy between clean hand to shape the kitty droppings. Place droppings on top of the cake. Serve cake with kitty litter scoop. Enjoy. 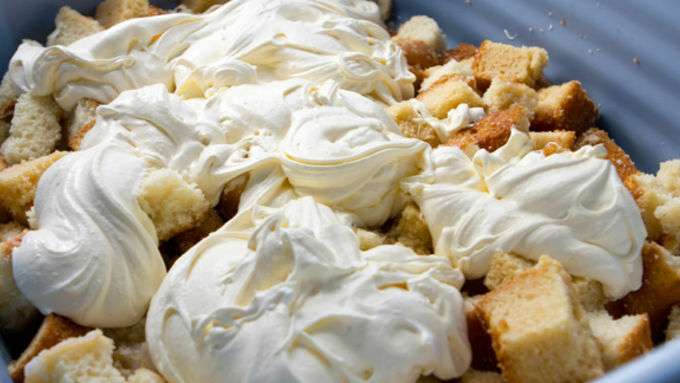 Come along while we make the perfect Halloween gross-out cake. 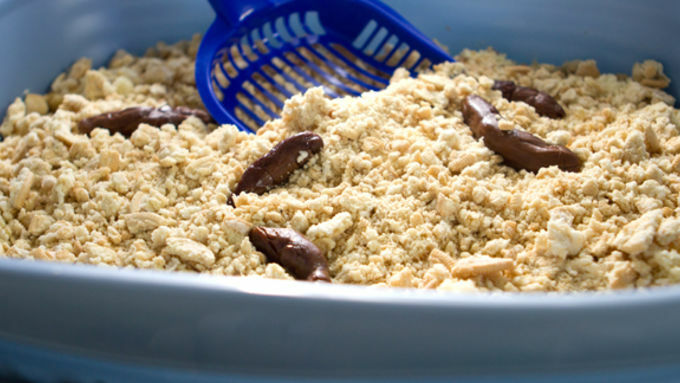 Kitty Litter Cake. It's a trick and a treat all tied into one. Get it? Get it?! Oh myyyyy meeeeeow. I was at a party years ago where a Kitty Litter Cake was served. The hostess, all bubbly and bright, was snort-laughing the whole night about it. I couldn't eat a thing on her table. 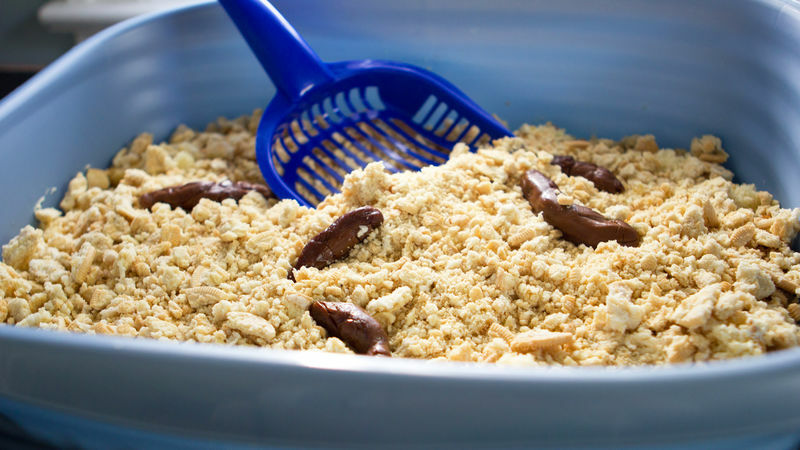 The mere thought of a cake that looks like kitty litter – served in a kitty litter box with a kitty litter scoop – well….I…..just…..there are no words. But I'm always up for a little fun, so I willingly dove into the task of recreating the source of my lost appetite. Once it was finished, a friend stopped by and I showed him the cake. "You are kidding. That is awful." He peered over the cake, nose upturned, "You actually molded cat poo. It looks so…..real." And real it does look. There's no getting over the fact that this easy cake, while disgusting, is wildly clever and horribly true-to-life. In short, it's the perfect gross-out cake for Halloween! With an entire Kitty Litter Cake sitting in my kitchen, killing the appetites of the four children who came home and refused to touch the thing, we decided to secretly ding-dong drop the cake at my cat-loving sister's house. We watched snort-giggling from the car as her husband opened the door, looked down on the doormat, and discovered…a box of kitty litter. He looked up, he looked down, he looked around. Watching him trying to decide whether he should pick up the kitty litter and take it inside, or just leave it on the steps…well that moment may have been entirely edible! Love it or loathe it, now you can have one of your own.